Special thanks to kuni808 for discovering this glitch and help us implement the new Black Ops 3 JITTER in the Gamepack! The Black Ops 3 Jitter is very similar to the Call of Duty original Jitter glitch. The Jitter makes the weapon shoot faster by canceling the animation. 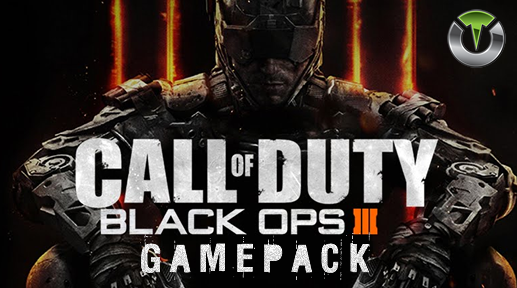 Black Ops III Gamepack – EXCLUSIVE Advanced Rapidfire. 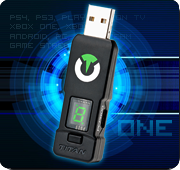 Call of Duty Black Ops III GamePack is now available on Gtuner PRO for all Titan One owners! 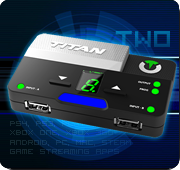 Featuring the NEW and EXCLUSIVE Advanced Rapidfire, along with Quick Rapidfire, Easy Akimbo, Alternate Rapidfire, Drop Shot, Jump Shot, Side Shot, Scope Shot, Auto ADS, Quick Scope, Sniper Hold Breath, Auto Double Jump, easy Sprint and Hair-Trigger. 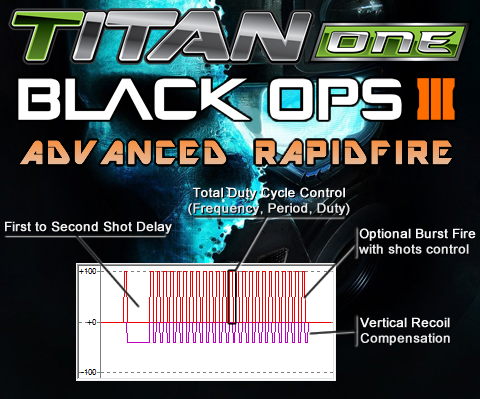 The new and exclusive Advanced Rapidfire MOD features an unprecedented control of the parameters and physics inherent to the weapons models of modern first person shooters, such Black Ops 3.